Dubai or re-export must comply with new regulations issued by the municipality. Starting April 1 food products will not be allowed entry into the UAE without the correct labeling. This will be a strong consideration for Halal producers who are trying to enter into this lucrative market but will now face the extra charges of relabeling their products. country in a position to penetrate the rich global halal market. “We want to become the clearing house of all halal products going out of the country to ensure their credibility with the foreign buyers,” said Zenaida Laidan, regional director of the Department of Science and Technology (DOST) of Southwestern Mindanao (Region 12). around the world, a BEDB press release said. Kazan infrastructure and is a charity project. do the same for medicines and cosmetics. foods” in the market for the consumption of Muslims,” advocates said. 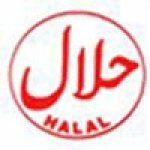 halal, or permitted under Islamic law. global halal market worth RM1 trillion. Malaysian industry leaders in its special cover edition for the event. group of Mihap Holdings and Perbadanan Kemajuan Pertanian Selangor. The 55 storey Tamani deluxe serviced apartment hotel in the Dubai Marina opened this week, the first of four upcoming Islamic hotels in Dubai operated by KM Holding, part of the Al Rostamani Group. advantage of the $200-billion global market. internationally accepted food for Muslims. Netherlands and using it as a springboard to the European countries. executive officer Datuk Jamil Bidin said, Malaysia needs to rebrand its halal concept first before tapping the lucrative European market. potential gateway for such products from Malaysia to Europe. is only for Muslims. “You have to change that perception,” he said.